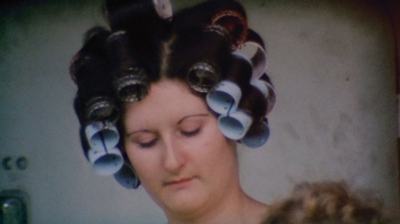 Filmed in 1975, this award-winning documentary still has bite. 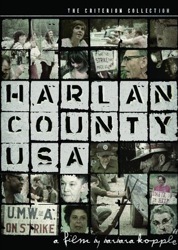 It’s won much applause for its support of poor hard-scrabble miners in a Kentucky coal community, and their struggles to unionize a job that no human should do. 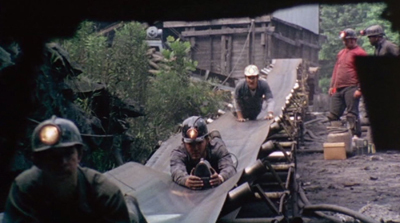 The start of the film gives you an idea of the dirty hell fired up by this kind of low-tech coal mining. 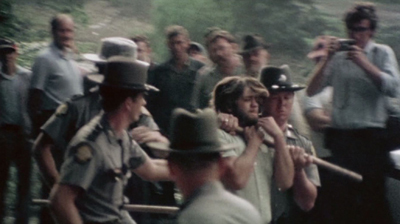 But equally important, this film is a deep immersion into the tangled small town Appalachian life of 1975 — a community and lifestyle that no longer exists. 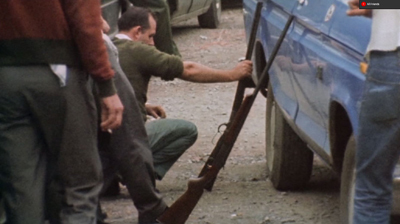 It captures the bloody drama of the strike including the climatic standoff with “scabs” shooting machine guns. Sadly the local villains play out the stereotype of corrupt southern white racist bullies. You could not cast their roles more perfectly. Watching this documentary feels like you spent 2 years sitting on the front porch with these characters, which is what the filmmaker did. I agree, this is a fine piece of work. But as is said above, the film is about “struggles to unionize a job that no human should do”. And that’s what got me: Why would you fight so hard to do a job which is so terrible? What did people do before coal mining in this region that made mining look so attractive? I think this is a sad case of “information deprivation”: these people could happily and healthily produce all their own food, fuel (moonshine country for chrissakes! ), and jobs independent of the coal industry. Instead they’re bullying and killing each other, fighting for this piss-bucket work. I live in Pittsburgh PA now — a few hundred feet under me, vast acres of vaulted coal mines are slowly subsiding. A complimentary film to “Harlan” would be Tony Buba’s “Struggles in Steel: A Story of African-American Steel Workers” (also in the OPL system, folks!). Buba is a fine movie-maker from Braddock PA, just outside of Pittsburgh. This is his most famous work, and deals with a very similar conundrum. Black workers in the steel industry struggled for decades to earn higher-profile jobs, achieving a margin of success by the early 1970s — and then American steel promptly split town, and most of these fighters lost their jobs! Why would you fight so hard for such a terrible job? Living here now, it’s pretty clear how people just don’t know that they can do other things with their lives besides earn a wage as an inhuman cog in a polluting system. To this day many Pittsburghers avoid automation like the plague, because it would undermine their wages and jobs, but it would do them well to face facts: Appalachia is a natural wonderland but people here can’t figure out how to get outdoors and grow their money on the trees. Land and taxes are so cheap that your overhead for living off nature is near zero! This reality takes all the glory out of the “struggle” for me — I can’t watch these movies and sympathize for the downtrodden — because their fight is a painful waste of human energy. Hear me y’all: I’m going down to West Virginny to buy me up some of that old mountaintop-removal land: turn waste into food, food into wealth. Start harnessing the debris field that the Old Technium leaves in its wake — don’t need no government pity or corporate wages to fuel my New Technium reprap-forest machine! I was about to send you a message about this one, then I realized you were the one that tipped me off to it in the first place. I should’ve known. This is one of the best of the best. Further proof that American greed knows no bounds… as if we needed any more proof.